From Portobello by Inspire, this gorgeous bowl provides a more opulent way to enjoy lovely, warming soup. 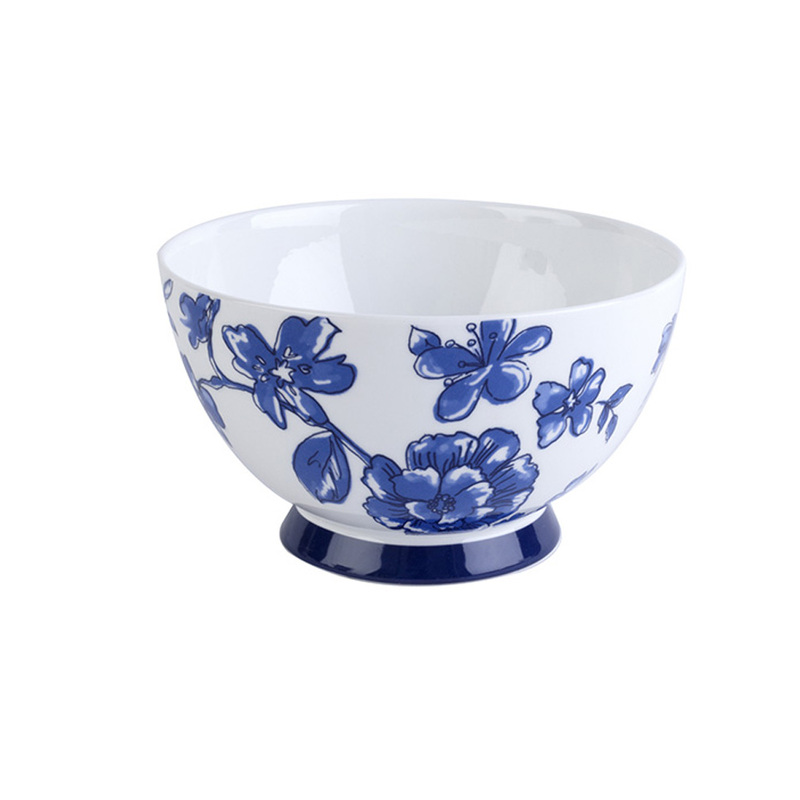 With elegant features and stunning, painted royal blue flowers on a cream background, this exquisite footed bowl looks charming in any setting. Crafted from bone china with a gloss finish, it is microwave and dishwasher safe, making it practical for everyday use and convenient to clean. Ideal as a gift, or to treat yourself, this beautiful bowl is the perfect addition to every home. This high quality Portobello Footed bowl, made from bone china with a gloss finish, looks great and is perfect for everyday use. It is dishwasher safe, so you can enjoy your cereal in the morning and pop it straight into the dishwasher with no fuss or hassle. Also suitable for use in the microwave, it is perfect for heating soup, pasta sauce or porridge quickly and easily at work or home. A generously sized bowl at 14 x 7.7 x 8 cm, it can comfortably hold 500ml, so you can enjoy a lovely bowl of cereal or dessert. 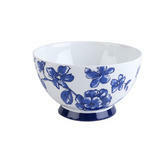 Whether for work, a friend or simply to refresh your tableware, this delightful footed bowl is guaranteed to impress.